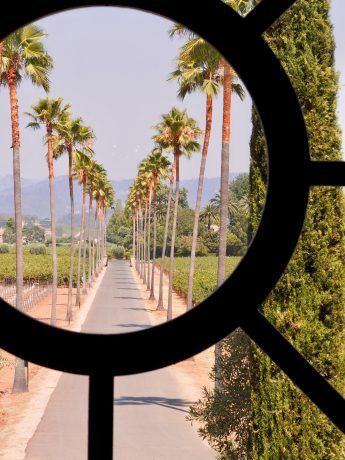 If you are as eager as we were to experience California’s Napa Valley, Chloe Johnston Experiences has the trip for you! A one-of-a-kind, personal wine-tasting experience, hosted by founder, Chloe Johnston. From planning our trip, to personally involving herself in every stop along the way, Chloe made sure our experience was hassle-free, and thoroughly enjoyable. Having made the trip to Napa several times herself, Chloe was able to advise us of the best options for getting to and from our destination. From Philly; San Francisco International, Santa Rosa/Charles Schultz, and Sacramento were all viable airports in the general vicinity of the Napa Valley. We chose a direct flight from Philly to San Francisco, rented a car and drove to our destination. As Chloe advised, the other airports were more convenient to Napa, however getting there from Philly was not as direct. We were happy to have a car, and to make the 75-mile drive north from San Francisco; Chloe had mentioned how pretty the countryside would be, and she was spot on – that drive alone was worth the price of our rental car! However, although we made a couple of early morning side trips, we really could have done without a rental car. CJ Tours provided all the necessary transportation, including a wonderful experience touring the Napa Valley in a Luxury Van. Aside from getting there and back, we left all the planning to Chloe. As seasoned travelers ourselves, we were tempted to get into the details of trip-planning. However, we soon realized how unnecessary that was; CJE took care of every detail. From accommodations, to transportation, tour stops and dining venues, Chloe and her team had it all covered. Our tour began at a stop en-route to Napa Valley, which Chloe had recommended; St. Helena. She provided two options for lunch, one of which was a lovely restaurant in the heart of town called Goose and Gander. We had a wonderful meal there, including wine, of course! The food was fresh, and delicious, and dining al fresco in the courtyard, reassured us that we had indeed arrived in Napa Valley. 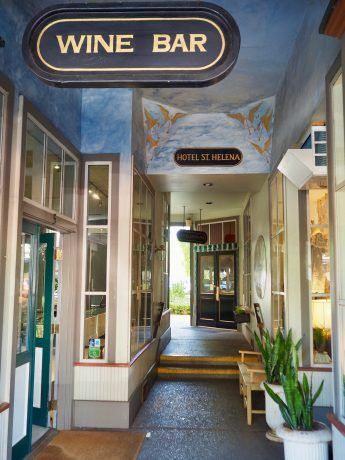 Chloe had mentioned how charming the town of St. Helena was, and suggested that we take our time and walk along Main Street, which was about a block from the restaurant. We strolled through the shops, and took it all in. It was a thoroughly enjoyable visit to this vibrant, throw-back town, and put is in complete relaxation mode, after our cross-country commute from Philly. Napa Valley Wine Tours from Davis Estates. Napa Valley Wineries are featured on our Napa Valley Wine Tours in 2018! We were escorted to our room by Eden, who made sure we were briefed on all aspects of our accommodations. Recently renovated, our room had all the important amenities; King bed, generous-sized rainhead shower, new TV with satellite stations, Nespresso coffee maker and a fireplace. Eden and her staff were attentive to our every need, and made sure our stay was comfortable and enjoyable. It was a wonderful experience. From Calistoga, we toured, tasted, sampled and nibbled our way through an array of restaurants and wineries. Everyone was so friendly and welcoming. CJ Tours made the experience so enjoyable, and hassle-free. 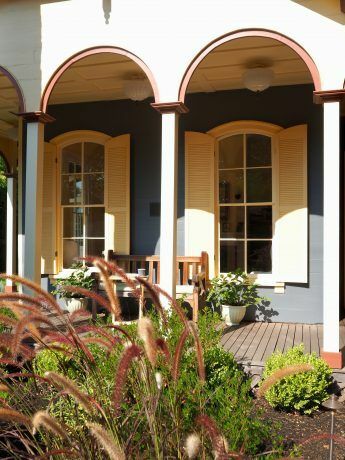 Our only responsibility was to meet at the front of the Inn in the morning to begin the day’s touring, and in the evening, to meet the other guests for either a short drive or walk to our dinner destination. hosted by a member of the Olive Mill team. Our tasting host was truly an expert in olive oil making, and made the tasting both informative and enjoyable. 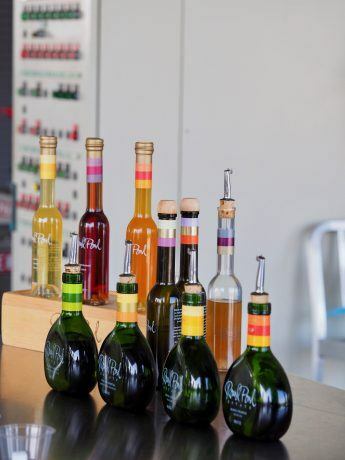 The infused selections were fresh and velvety and we purchased the Lemon and the Blood Orange flavors. After the tasting, we were greeted by our Luxury Van provider, Mary “T” Beller, who treated the group to Champagne, including using a gallant antique sword to expertly slice off the bottle top! Very Ceremonial! Through Chloe’s connection with The Davis Estates Winery, we were invited to take a private tour and tasting of this exclusive winery. Owners Mike and Sandy Davis were eager to showcase their cutting-edge, custom designed facility. The Tasting Room was specially set for us and was deep underground, inside the wine caves where oak barrels line the tunnel walkways. It was a very architectural setting. The estate grounds are beautiful – fruit trees, flowers, vegetables…terraces and sculpture. A distinctive windmill located on the estate property is featured on the Davis Estates wine label, and an impressive large granite sphere and water feature was another interesting aspect of the landscape. 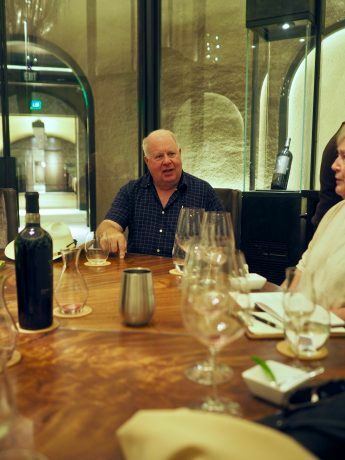 Mike Davis, himself joined our tasting and shared his passion and experience. Davis is building a legacy of phenomenal wines, and we couldn’t resist ordering several bottles of their outstanding Cabernet! The Late Harvest Chardonnay was also very notable and memorable. CJ Tours arranged this very personalized experience for us down to the smallest detail. Without CJ Tours, we would never have known about, or had access to this emerging gem of the Napa Valley. Another amazing stop on our tour was Kinsella Estates, located in nearby Healdsburg. Again, through personal relationships developed by CJ Tours, we had access to this very private and exclusive winery. 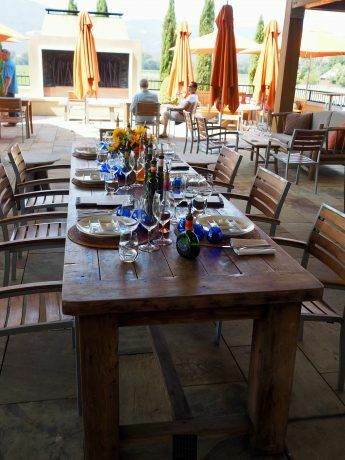 The venue for our tasting was nothing short of spectacular, at the private residence of founder, Kevin Kinsella, hosted by General Manager, Rich Smock. Rich gave us a tour of the property, including the stunning vistas and views of the Napa Valley from the mountaintop location of the Kinsella home. Rich was eager to share the Heirloom Cabernet named for the tomatoes grown on the property, and the Spencer Cabernet, named for the vineyard’s beloved mascot, Spencer. breathtaking views, to the personal attention and fabulous award-winning Kinsella Estates wines, this was truly a highlight of our trip. We came for the wines, but were equally amazed by all the cuisine. The wineries, chefs, farmers and restaurateurs are all working together; inspiring each other – the fresh vegetables, exciting pairings and all the artisanal cheeses were delectable. CJE’s dining venues were outstanding – their recommendations and expertise guided us to some of the Napa Valley’s most savory and exclusive restaurants. We truly explored, relaxed and dined our way through our visit to Napa. 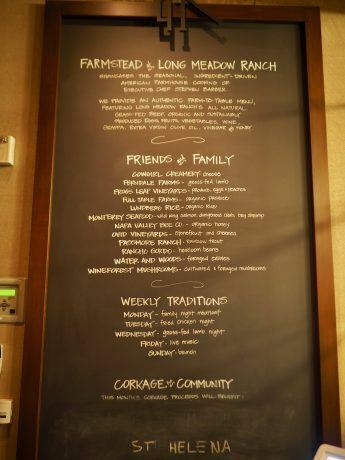 Farmstead at Long Meadow Ranch located in St. Helena was a recommended dinner spot. The farm to table fare was delicious – so was the Groth Cabernet. 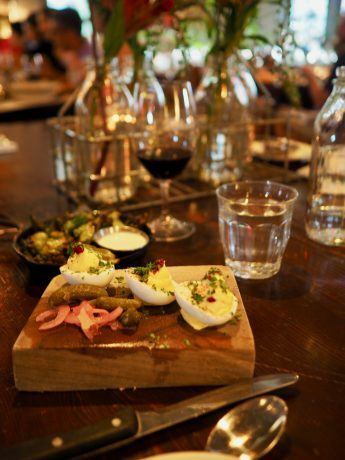 Sam’s Social Club in Calistoga offered a very creative, rustic flair. We dined outside on the patio, enjoyed a Cabernet especially selected for us…and then headed to the fire pit for a nite-cap. 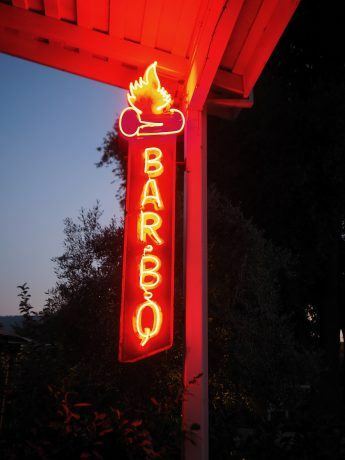 Johnny’s in Calistoga has an interesting history. The original opened in 1933 after the repeal of Prohibition. They were serving a Cabernet Sauvignon, Joel Gott Blend 815. Solage in Calistoga was another memorable dinner spot. 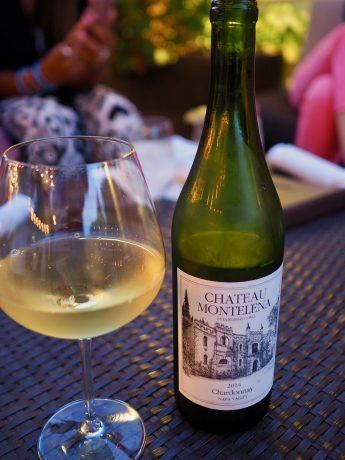 We dined under the stars and enjoyed a Chardonnay from Chateau Montelena – you may be familiar with the story of the 1973 Chardonnay that received top rating (movie Bottle Shock). 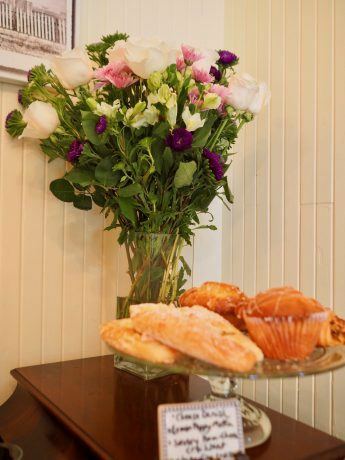 Wild Flour Bakery, in the rural area of Freestone, Sonoma County served up fresh brick oven baked breads, scones and biscuits. We never would have found this tucked-away, favorite of the locals without CJE! 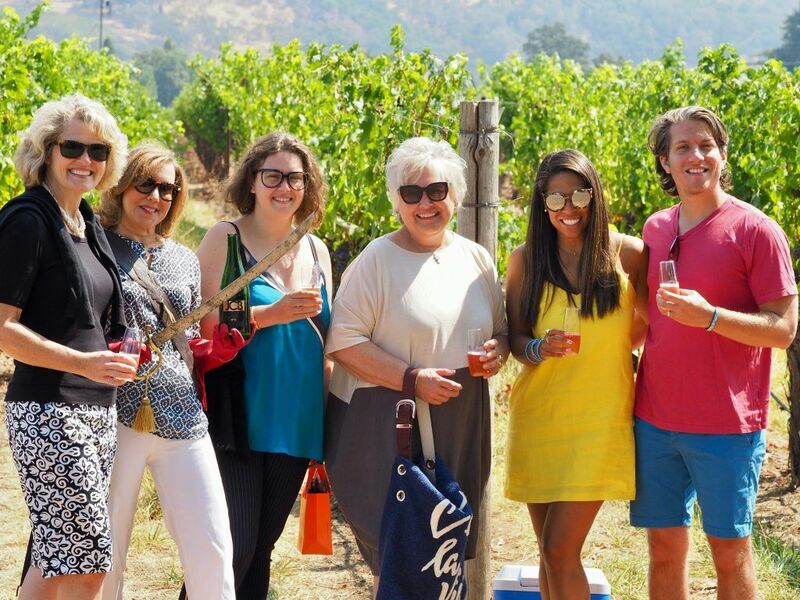 For both the wine novice or connoisseur, CJE has expertly organized an inspiring tasting tour like no other – and their guests enjoy special, personal hospitality, where you’ll feel like part of the family. Thank you, CJE for this unique and amazing experience; unforgettable! P.S. We asked CJE to surprise us with a personalized, Napa experience. They did not disappoint! Our visit to Osmosis Day Spa Sanctuary was truly a California experience. We won’t give the surprise away; but you should ask for it too! This entry was posted in Blog2017 and tagged Calistoga, Healdsburg, Napa Valley, Sonoma, Wine excursions, Wine Tours, Wine Travel.